NCRA members interested in paying it forward to the next generation can nominate themselves or recommend someone to serve by submitting their endorsements to boardnominations@ncra.org by Jan. 19. In addition, anyone interested in seeking future Board service can attend a no-obligation orientation webinar on Jan. 10 at 8 p.m. ET. This webinar will help you gain a better understanding of the process and expectations of serving on the Board. For more information about the orientation, contact lbutler@ncra.org. “What motivated me to step up to national service on this Board is a deep commitment to giving back to this great profession. I’ve been so truly blessed by my career, and in my view it would be a crime to take and take and take and not continue to give back,” Curry says. “My greatest benefit professionally has been the new friendships that have developed from my service, not just on the Board but through committee service, as well as state representative visits and meeting reporters in other states around the nation. This all comes down to relationships and connecting with individuals for them to see how hard we’re working for them and for the future of our profession,” he adds. “We need you, we need fresh ideas, fresh people thinking in ways and about things that we haven’t or that we’ve missed. That’s the greatest dynamic I see with new people coming on the Board or stepping up to committee service work … fresh ideas and fresh, energized approaches. You may have the next big idea that none of us saw or thought of,” Curry says. For more information about nominating or recommending someone for service on the NCRA Board of Directors, visit NCRA.org. As a courtesy, please contact your candidate directly prior to submitting his or her name. NCRA’s Distinguished Service Award (DSA) recognizes the distinguished work and service of an individual member for the benefit of the court reporting and captioning professions, including service to NCRA as a member, a committee member, a director, or an officer of the Association. 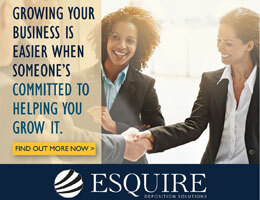 It is also often viewed as the highlight of the recipient’s career. The deadline to nominate a candidate is Feb. 9. “What an honor to be NCRA’s 2017 DSA recipient! The thrills of that day won’t soon be forgotten — seeing my family members appear as if by magic as my name was announced, the applause of my peers, the sentimental video created by my good friend Bill Weber and my father, and my own ‘aha’ moment when I realized my husband, Ed, had kept this wonderful secret from me,” said Nancy Varallo, FAPR, RDR, CRR, a freelance reporter and firm owner from Worcester, Mass. Varallo is also a past president of NCRA. DSA recipients are also recognized for other displays of notable work, including contributing to the JCR or service at a state court reporters association or in the field of public relations or public affairs. 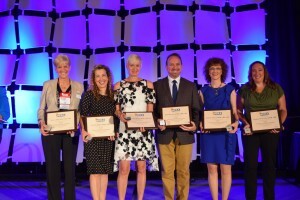 Award winners are recognized at the NCRA Convention & Expo. “I realized how my involvement in NCRA followed the example of so many leaders who served before me. I felt a real sense of gratitude for the mentors who had helped me along the way: first my dad, my court reporting mentor; and my mom, my feminist role model,” Varallo said. “I also realized the gratitude I had for the inspiring leaders I’ve been privileged to know throughout my almost four decades of volunteerism. Those leaders blazed the trail! They set the bar for excellence. They taught me the responsibilities that come with commitment, the importance of doing my best, always, and to be ever mindful that a leader is always a role model. I take that seriously. I’ve sought to be a good and thoughtful leader, and I hope I’ve helped to empower others to take the reins of leadership. That would make me happy,” Varallo added. Voting members of NCRA or of recognized court reporting associations may submit nominations through an online form, by email to dsa@ncra.org, or by mail to NCRA, Attn: DSA, 12030 Sunrise Valley Dr., Suite 400, Reston, VA 20191. Nominations must include information supporting why the nominee should be considered. DSA candidates cannot be an active member of the DSA Committee or the NCRA Board of Directors. The deadline to nominate a member for NCRA’s 56th Distinguished Service Award is Feb. 9. Serving on the NCRA Board of Directors is an excellent opportunity to use your leadership skills to help advance the premier organization that continues to empower the court reporting and captioning professions. As a Director, you will serve with others as fiduciaries to steer the organization towards a sustainable future by adopting sound, ethical, and legal governance and financial management policies as well as by making sure NCRA has adequate resources to advance its mission. 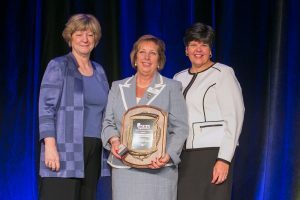 “Clearly the greatest benefit of serving on the NCRA Board of Directors is the personal satisfaction that you are giving back to a profession that has provided us a rewarding lifetime career,” said Debra Dibble, RDR, CRR, CRC, a freelance court reporter from Woodland, Utah, and NCRA’s Secretary-Treasurer. 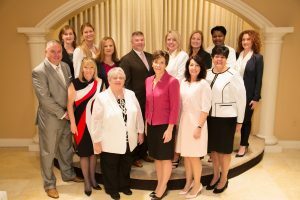 “Serving on the NCRA Board provides an unequaled opportunity to be instrumental in protecting, developing, and shaping the future of our beloved profession. 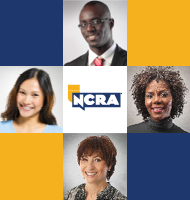 The NCRA Board creates an environment for personal development and growth through opportunities to both teach and learn, instruct and listen, grow individually while building others, and protecting the past while creating the future. The value cannot be measured nor calculated,” Dibble added. 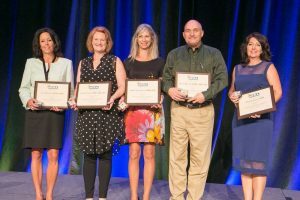 NCRA’s Council of the Academy of Professional Reporters (CAPR) is seeking nominations for its Fellows of the Academy of Professional Reporters (FAPR). The deadline to nominate a candidate is Dec. 31. Membership in the Academy symbolizes excellence among NCRA members. The designation of FAPR represents an individual’s dedication to the court reporting and captioning professions and expresses the highest level of professional ethics. “When I received the FAPR, it was a complete surprise, but the icing on the cake was that my wife, Mary, was also made a Fellow at the same time. It caused us to reflect on our contribution to the profession and, more than that, the realization that our peers recognized our contribution as well,” said Kevin Daniel, FAPR, RDR, CRR, CRC, who was inducted into the Academy in 2012. “NCRA members should view the nomination process as an opportunity to recognize some overachieving, non-Board members who have contributed to the profession in many different ways, from serving on committees to promoting court reporting and captioning in mainstream and social media,” added Daniel, a freelance court reporter from Las Vegas, Nev.
To be nominated for membership in the Academy, candidates must be a Registered Member of NCRA with at least 10 years of professional experience and have attained distinction as measured by performance in at least three of the five performance categories. This performance could include publication of important papers, creative contributions, service on committees or boards, teaching, and more. “By bestowing the FAPR on a colleague, you not only recognize the past contributions of your fellow member, but you also often inspire them to continue and even redouble their commitment to the profession,” Daniel added. The 2017 class of Fellows of the Academy of Professional Reporters was recognized at the 2017 Convention & Expo. Nominations for 2018 Fellows are due Dec. 31. NCRA’s Council of the Academy of Professional Reporters (CAPR) is currently seeking nominations for its Fellows of the Academy of Professional Reporters. Nominations are due Dec. 31. Fellows represent the pinnacle of excellence among NCRA members. They are individuals who are a credit to the reporting and captioning professions and embody the highest level of professional ethics. “When I was awarded the Fellow designation, I felt a combination of pride and humility. It is such an honor to have my peers understand and appreciate the efforts I have given to the court reporting and captioning professions,” said Patricia Graves, FAPR, RDR, CRR, CRC, a captioner in Monument, Colo. Graves was part of the 2014 class of Fellows. Established in 1972, NCRA’s Academy of Professional Reporters recognizes a nominee’s outstanding and extraordinary qualifications and experience in the field of shorthand reporting. Candidates are required to have been in the active practice of reporting for at least 10 years and to have attained distinction as measured by performance, which includes publication of important papers, creative contributions, service on committees or boards, teaching, and more. “I consider being elected a Fellow of the Academy of Professional Reporters the highest honor of my career. It’s recognition from top reporters in the field for your contribution to the profession,” said Mary Cox Daniel, FAPR, RDR, CRR, CRC, a freelancer in Las Vegas, Nev. Daniel was part of the 2011 class of Fellows. A Fellow’s support of the profession can be seen in his or her activity in professional associations at the state or national level or through a number of other venues. If you know of such a person who has not been named to the Academy, now is your chance to recognize his or her contributions to the profession. View the full criteria and download a nomination form at NCRA.org/Fellows. 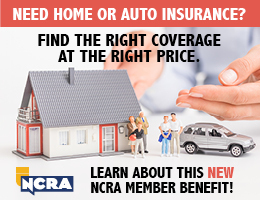 For more information, contact Cynthia Bruce Andrews at candrews@ncra.org.
. Nominate yourself or another noteworthy court reporter, captioner, videographer, scopist, teacher, school administrator, or court reporting manager for recognition through the JCR Awards. Conceived as a way to recognize and highlight the exemplary professionalism, community service, and business practices of NCRA members, the JCR Awards is a way to tell compelling stories that bring to life innovative and successful business strategies from the past year. In addition to nominations for several subcategories, NCRA is looking for a firm and an individual who show excellence in more than one category for an overall “Best of the Year” award. Any current NCRA member in good standing, with the exception of students, may be nominated for these awards. Court reporters, captioners, videographers, scopists, teachers and school administrators, and court reporting managers are all eligible for nomination. Self-nominations are accepted. Firms, courthouses, or court reporting programs may be nominated as a group as long as they meet the criteria for membership for one of the definitions in the JCR Awards Entry Form. To nominate yourself or someone else, submit a written entry to the JCR between 300 and 1,000 words explaining the strategies implemented and why they were successful. Ancillary materials, such as photos, may also be submitted with the nomination. Nominations will be considered by the JCR editorial team based on the best fact-based story. Please be prepared to offer documentation, verifiable sources, or other assistance as needed to be considered for these awards. 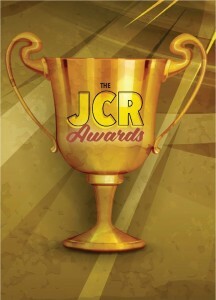 The stories of the finalists will be published as featured articles in the March JCR. The National Court Reporters Foundation is currently accepting nominations for its Board of Trustees. The Foundation seeks members who want to support its good work by helping to raise funds, develop and implement NCRF programs for which those monies are committed, and further the organization’s mission. NCRF serves as the charitable arm of NCRA and raises funds throughout the year to support an array of programs created to benefit the court reporting community. Among those are the New Professional Reporter Grant, student scholarships, and the Oral Histories Program, which includes the newly established Hard-of-Hearing Heroes Project, an expansion of the Foundation’s work with the Veterans History Project. Service on the Board of Trustees is open to any NCRA member or member of the public who meets specific criteria. The deadline for nominations is March 31. Click here for the nomination form and more details. If making a difference is one of your new year resolutions, there’s still time to step up and nominate yourself or a colleague to serve on NCRA’s 2017-2018 Board of Directors. The deadline to submit a nomination is Jan. 20. Nominations should be submitted to boardnominations@ncra.org. “I am a believer in giving back, which is why board service at the state and national level were important to me,” said Michele Melhorn, RMR, an official court reporter from Arlington, Va., and former director. “I was handed great mentors, made great friends, and learned a lot about myself.” Melhorn served a three-year term on the Board from 2013-2016. Service on NCRA’s Board of Directors also offers the opportunity to help shape the Association and have a positive influence on the profession as a whole. NCRA’s Council of the Academy of Professional Reporters (CAPR) is currently seeking nominations for its Academy of Professional Reporters. Nominations are due Dec. 31. Fellows represent the pinnacle of excellence among NCRA members. They are individuals who are a credit to the reporting and captioning professions and embody the highest level of professional ethics. “To be nominated as a Fellow is one of the highest recognitions by your peers for contribution to our profession,” said Mary Cox Daniel, RDR, CRR, CRC, a freelance reporter from Las Vegas, Nev., and chair of CAPR. “Being nominated means a reporter has gone beyond mere membership in NCRA but has made significant contributions to our profession over an extended period of time. I consider becoming a Fellow a lifetime achievement award,” added Daniel, who was nominated in 2011. “A nomination as a Fellow is one of the highest recognitions our profession bestows, encapsulating an acknowledgement by your peers of your dedication to court reporting in all ways — from steno writing professional, to advocate of our profession, to being a leader,” said Kimberley A. Neeson, RPR, CRR, CRC, a freelancer and firm owner from Toronto, Canada, who was nominated in 2016. “The nomination as a Fellow of the Academy of Professional Reporters acknowledges the nominee’s hard work, commitment and ethics to the profession of capturing the spoken word. While many certifications acknowledge one’s skill, a nomination as a Fellow is recognition by the court reporting and captioning community of the nominee’s long-standing contributions to our profession. It is truly an honor,” she added. “For me, nomination was affirmation and recognition from my peers that I’d had accomplishment in my chosen profession. It was profound. It means that you have served and performed to advance the profession, and that service is acknowledged and honored,” added Jason Meadors, RPR, CRR, CRC, a freelancer and firm owner in in Fort Collins, Colo., who was nominated in 2011.